The North Korea Summit: Victory or a giveaway? Trump concluded his historic summit with Kim Jong Un in record time. The two world leaders met to create a framework for further discussions aimed at eliminating North Korea’s nuclear program, as well as creating peace on the Korean Peninsula. 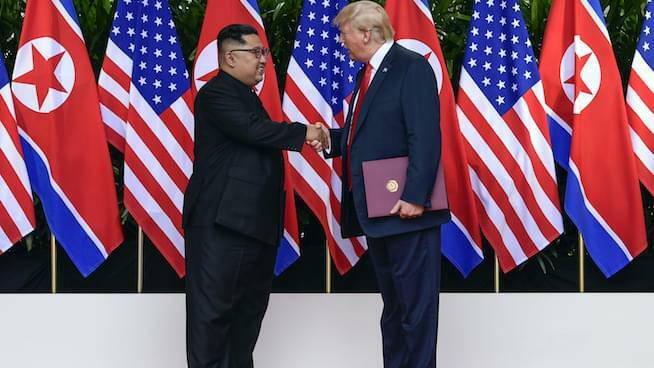 Foreign Policy Expert Ian Bremmer joined Jack Armstrong & Joe Getty to dissect the summit, telling the guys that the outcome of the initial meeting was good for Kim, good for China — and possibly great for all of humanity. Bremmer answered the critical question of whether Trump’s efforts will end in victory, or prove to be a bust and a set back for the United States and our allies. Listen below to hear the verdict!